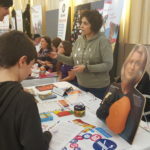 The Health Promotion joined a number of other organisations including Childline, Clubhouse , the Disability Society and Autism Support Gibraltar at #YouthDayGIB run by the Gibraltar Youth Service. The day provided a great opportunity for children to get involved in various arts, crafts, interactive games and learn about the wide array of services available for children on the rock! Tooth decay unfortunately remains a common cause of poor dental health in children. The decay occurs when the teeth remain coated in dental plaque, a result of bacteria and fermentable carbohydrates (which includes starch and sugar). It is always great to see children actively discussing the health harms of smoking; ‘Smokey Sue’ provided a good visual opportunity for them to see the difference between how a healthy lung appears and functions compared with that of a heavy smoker. 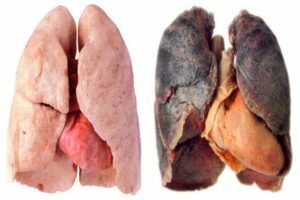 Smoking introduces a variety of carcinogens into the body which change the lungs ability to function; whilst the body may initially try to repair the lungs, increased exposure increases the risk of permanent damage. Smoking also severely restricts the airways, increasing the risk of breathing conditions such as Chronic Obstructive Pulmonary Disease (COPD). Some older children had questions regarding e-cigarettes, however the evidence suggests that avoiding smoking or breathing in any chemical irritants is best for lung health.